Submitted. 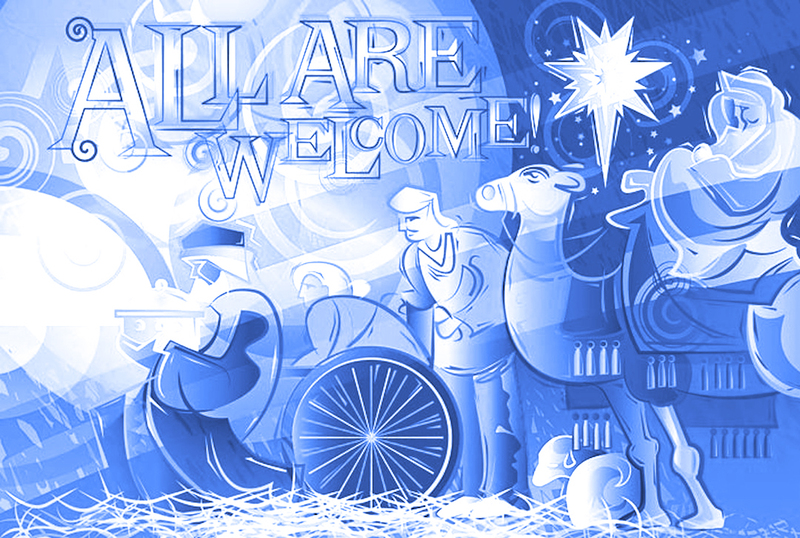 The theme for the 2012 Christmas Concert is “All Are Welcome”. The annual Christmas Concert supplies the Christmas spirit all year for the music department. However, there are many other departments involved in the planning process. The Christmas Concert, which features The Concordia Choir, Chapel Choir, Bel Canto, Cantabile, Männerchor and the Concordia Orchestra, is performed in Moorhead as well as in Minneapolis. This year, it has moved from its usual location in Orchestra Hall in Minneapolis to the Minneapolis Convention Center due to construction at Orchestra Hall. After finding out two and half years ago, the college began to research other venues immediately. Although the Ordway and large churches were considered, the Convention Center seemed to be the best option. According to Moe, there are 450 performers and 4,800 audience members that attend the two concerts in Minneapolis, and the Convention Center is a venue that is able to accommodate the performers and the audience. Orchestra Hall has been home to Concordia’s Christmas concert for many years, and changing locations will be difficult to adjust to. “We knew that anything that we selected would be not as good from a musical standpoint,” Moe said. Another change in the concert schedule this year is that the Minneapolis performances are being held before the Concordia performances, even though they are generally held after. According to Moe, the main reasoning behind the change was due to scheduling conflicts involving the academic calendar and the availability of the convention center. There is one aspect of the Christmas concert in Minneapolis that will be brought back this year after many years. The center portion of the mural, created by artist Paul Johnson, will be brought down to Minneapolis for the performances. The mural has been a part of the Minneapolis concerts in the past, but due to the growing number of performers there was not enough room to have it on stage in Orchestra Hall. Every year, the famous mural shows the theme of the concert. This years theme is “All Are Welcome.” According to music professor and Concordia Choir director René Clausen, the theme was chosen when he attended church and the hymn “All Are Welcome” was sung. “I really liked the way it was very inclusive. It is a newer hymn. The name of the hymn just seemed to inspire a general title for the Christmas concert,” said Clausen. “All Are Welcome” will be performed at the concert. A piece written by Clausen, traditional carols, and newer pieces will also be performed. A piece that comes out of the Mormon tradition “O Light of Life” will also be performed this year. Clausen explained that it is appropriate to the theme and is a beautiful piece for mass choir. The two Minneapolis concerts will be held on Nov. 29 and the four Moorhead concerts will be held Dec. 7, 8 and 9. Tickets for the Minneapolis shows are available on the Orchestra Hall website, www.minnesotaorchestra.org, despite the change in location. Tickets for the Moorhead shows are available online and at the box office on campus. Students receive one free ticket.